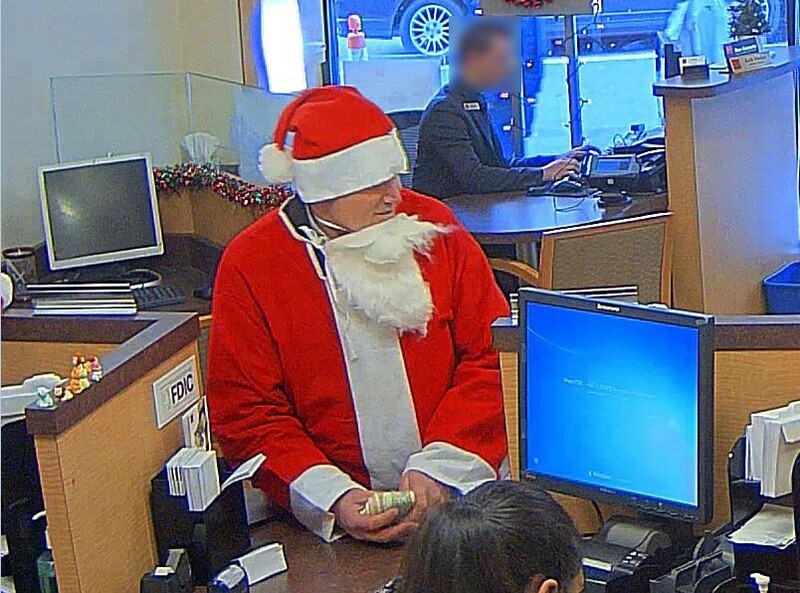 A Christmas wish comes true for readers: San Francisco police have released images of the Bad Santa who robbed a bank in downtown San Francisco during SantaCon last weekend. As we previously reported, the unidentified Santa walked into the bank on the 400 block of Sutter Street at 1 p.m. amid the city's annual SantaCon event, which brought thousands of other Santas to the streets of San Francisco. Once inside the bank, the Naughty St. Nick slipped the teller a demand note, claiming he had a gun. 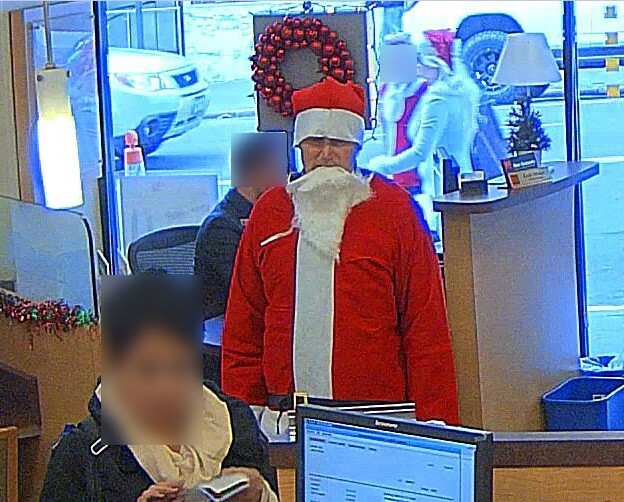 The teller handed over an undisclosed amount of cash and Santa slipped out of the bank feeling jolly, no doubt. Now on any other day, a random robber in a Santa suit would not have gone unnoticed, but considering this was SantaCon, where drunken Kris Kringles are ubiquitous, nobody noticed. But now they might. Have a close gander at these surveillance photos, which show a 6-foot white man, between the ages of 40 and 50, with a catawampus beard and a lot of cash in hand. If you know this particular Santa, call SFPD ASAP at (415) 575-4444.